This graph presents a ranking of the ten most saturated metropolitan areas in Latin America in 2018, based on the average number of hours lost in congestion over a year. 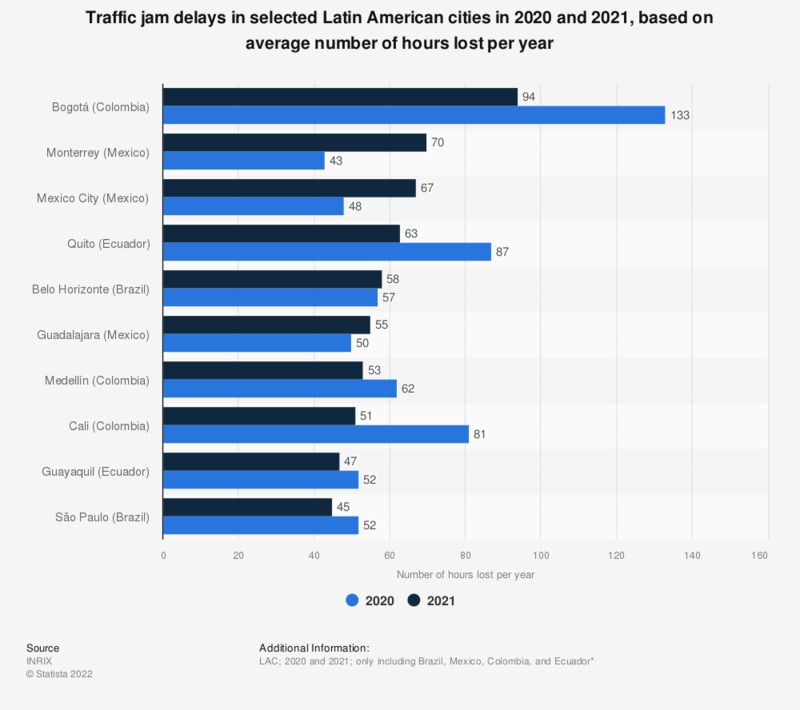 Bogotá ranked as the city with the longest traffic delays in the world, where drivers lost an average of 272 hours per year due to traffic jams. Mexico City ranked second in the Latin American region, with an average of 218 hours lost. The source adds the following information: "The INRIX 2018 Global Traffic Scorecard is an analysis of congestion and mobility trends in more than 200 cities, across 38 countries."